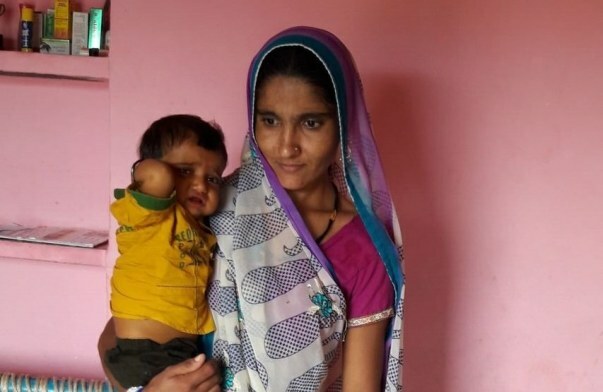 9-month-old Leena Choudhari is a liver disease patient. 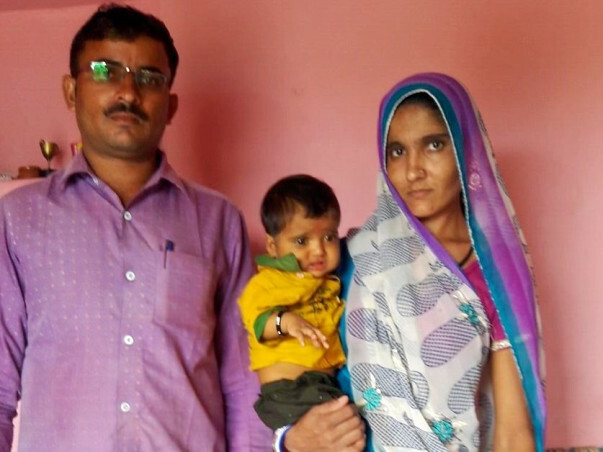 His father, Sukdev Prasad is trying hard to raise funds to save his little son. Leena was diagnosed with Biliary Atresia when he was 8 months old. Her parents noticed a yellowish discoloration in his eyes and expansion of his stomach. They took him to the hospital and medical tests revealed his liver is affected. 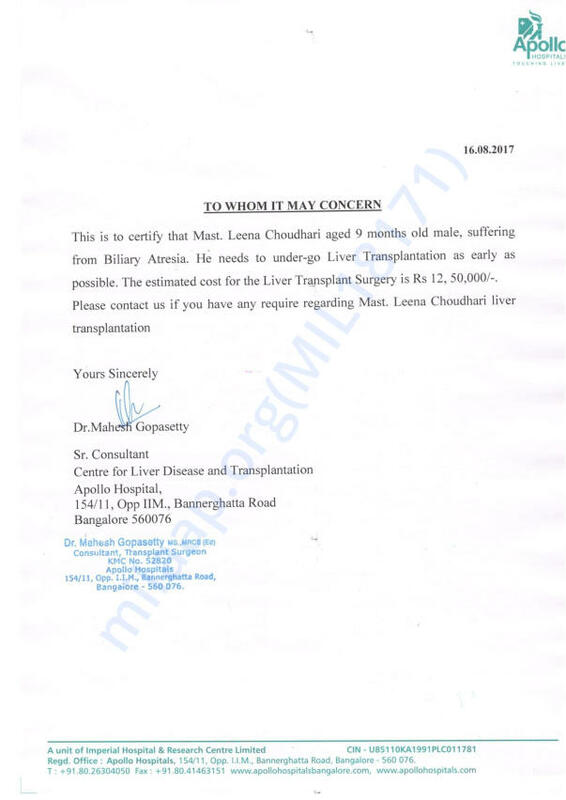 Doctors have recommended a liver transplant to save his life. 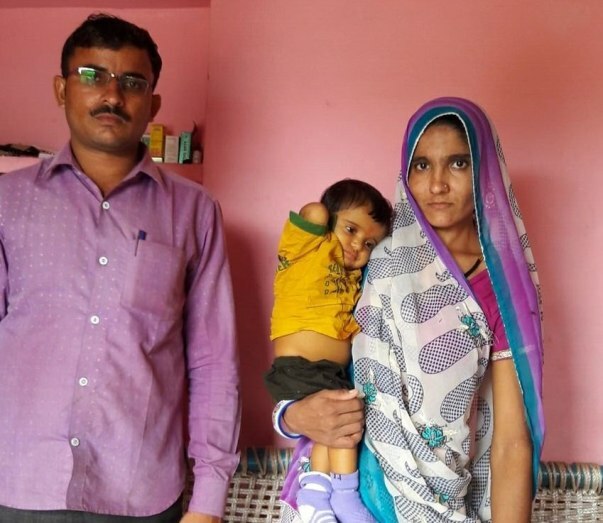 The family needs to arrange for 12.5 lakhs for the surgery. Leena's father earns Rs.6,000 a month. He spent all this savings for Leena's treatment so far. The family is struggling to arrange for the money. Funds raised through this fundraiser will help Leena undergo a liver transplant. This will help little Leena stay alive. Here is an update on Leena. Leena has not gained any weight since the treatment has started. He underwent several tests. The result of the tests came out two weeks ago, his hemoglobin is very low. The transplant can be done only when his hemoglobin is normal. All the required documents for transplant have been submitted. His father is the donor of the same.